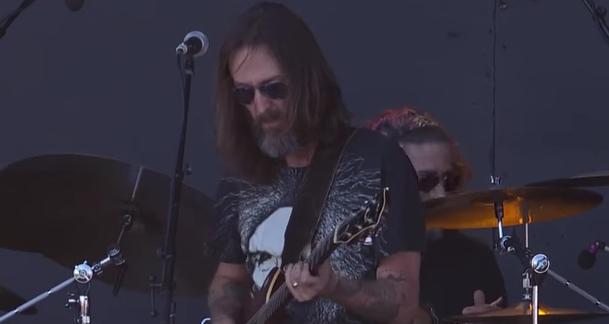 Ex–Black Crowes singer Chris Robinson brings the Chris Robinson Brotherhood to the Observatory North Park on December 16. In between the phone signal cutting out in Appalachia, he took some questions. Where am I reaching you? Your favorite San Diego stories? “For us, in the Chris Robinson band, San Diego is early days, at the Casbah. The black box, with planes flying over and rattling your skull. One of the first places to show us any love at all. Lines around the block. Were bits of Dylan and the Band in this new stuff, conscious? Friday, December 16, 2016, 8 p.m.
“Not really. Dylan’s still the reason hundreds of thousands of us came out — we see him as a spark, as a pinnacle. But it’s the books that you’re reading and the films that you see and the loves gained and lost, it all starts to become who you are. It becomes part of this larger idea, wanting those things to be soulful and dynamic. And representative of you. The publicist said to ask you about recreational substances.